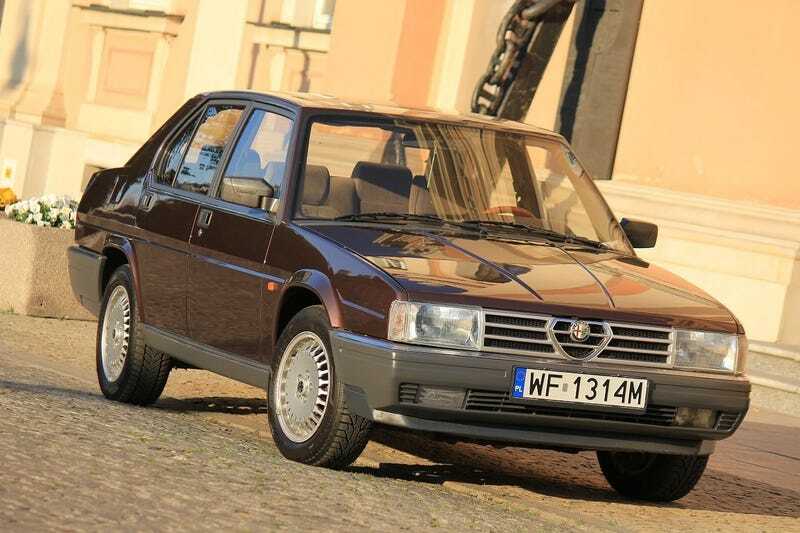 1986 Alfa Romeo 90 Quadrifoglio Oro. Fuel injected 2.5l V6, manual 5 speed locking transaxle, 38k km on the clock. Original and unrestored, everything (including the active bodywork) works, runs great. Includes additional bits and bobs (original steering wheel, spare gauge cluster), but does not include the optional fitted suitcase.